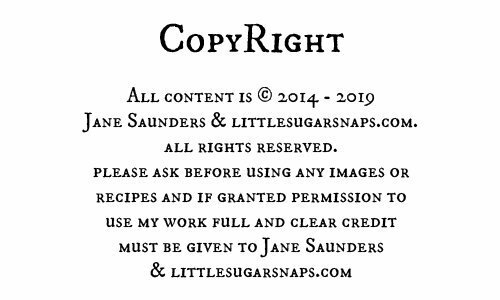 Well, the good news is that I have well and truly tamed the tempering beast now and I look forward to serving up oodles more chocolate-covered treats to you in the future. But today it’s all about that much loved classic dessert accessory – custard. Both of these are arguably 2 classics that have stood the test of time stupendously well. In fact, the good old custard cream biscuit ranked 4th in a poll of Britain’s favourite biscuit in 2018. Rather than pick between them, I decided to come up with 2 variations for a custard flavoured truffle. I’ve always been one for sitting on the fence when important decisions are looming. 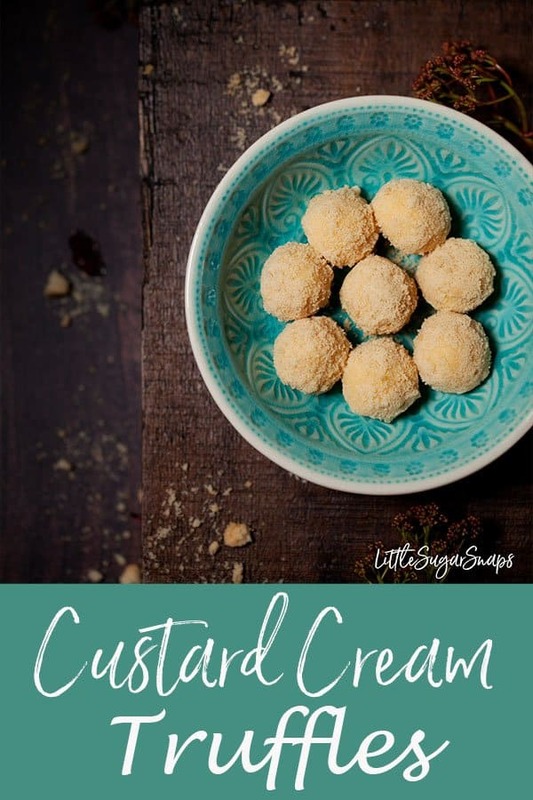 First up is a super simple Custard Cream Truffle. 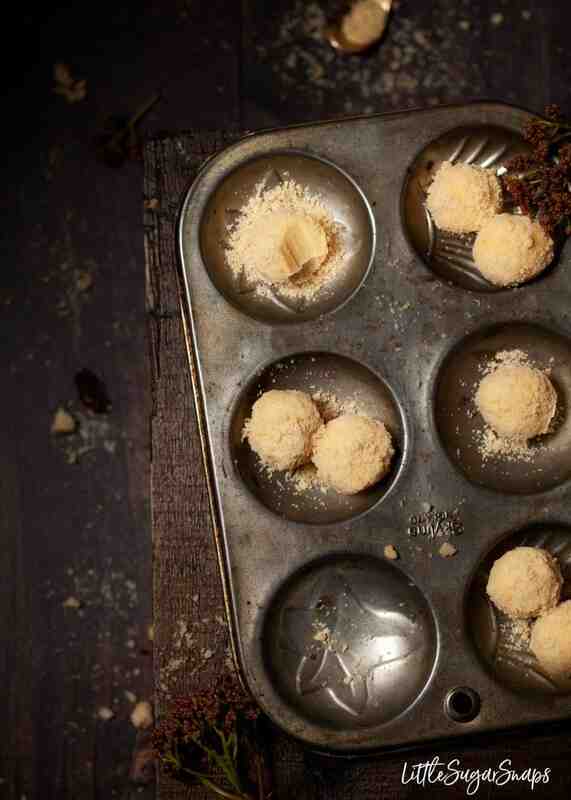 Quite simply: balls of custard flavoured white chocolate ganache rolled in crushed shortbread biscuits. 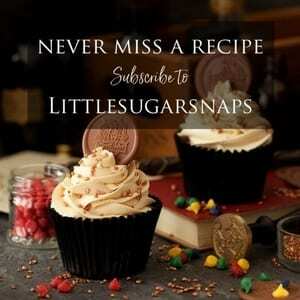 They are easy to make, fun and oh some hard to stop eating. 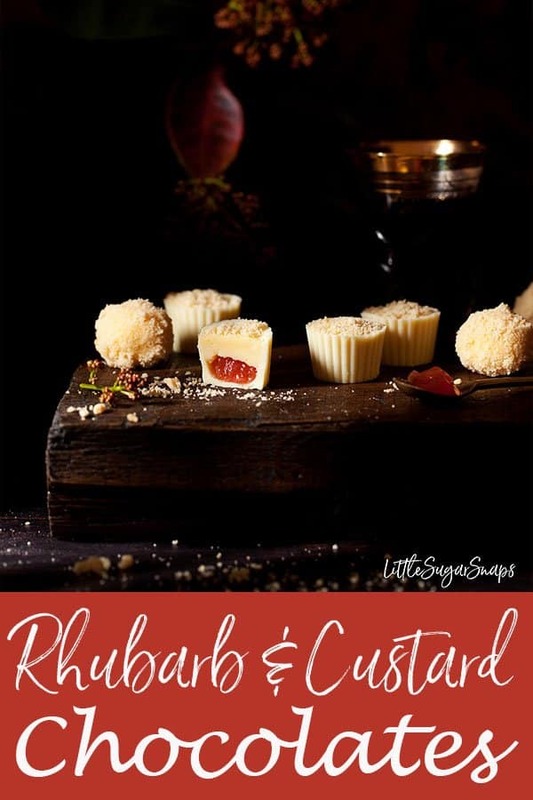 For the more adventurous chocolatier, I have also created a Rhubarb Crumble & Custard Chocolate. 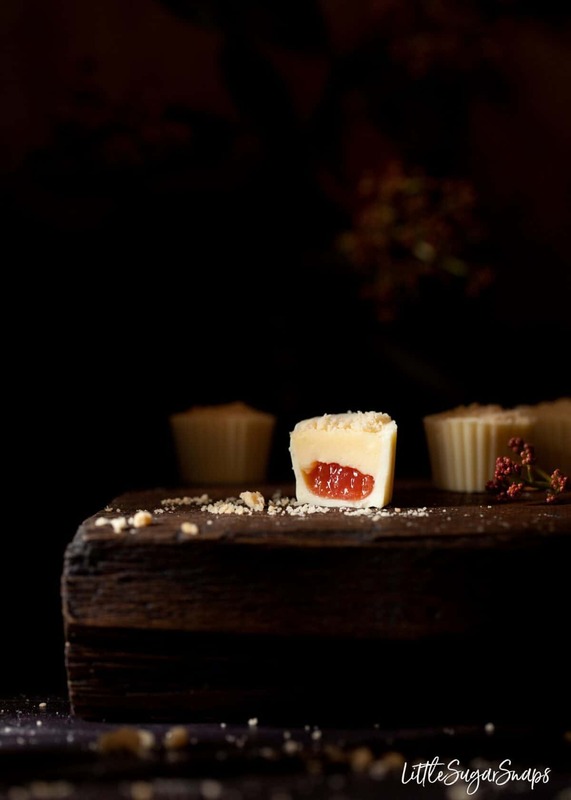 The same custard flavoured ganache sits on top of some jammy rhubarb inside of a crisp white chocolate shell. 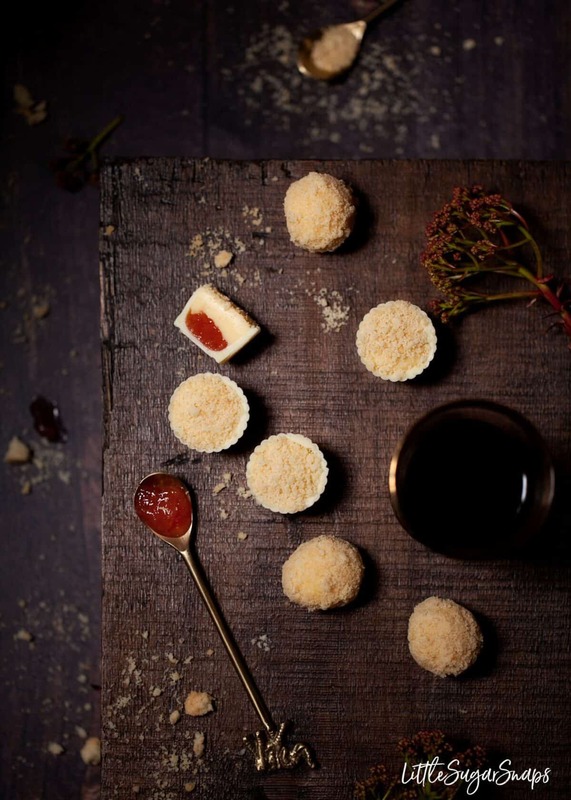 A little crushed shortbread biscuit completes the bite-sized crumble package. 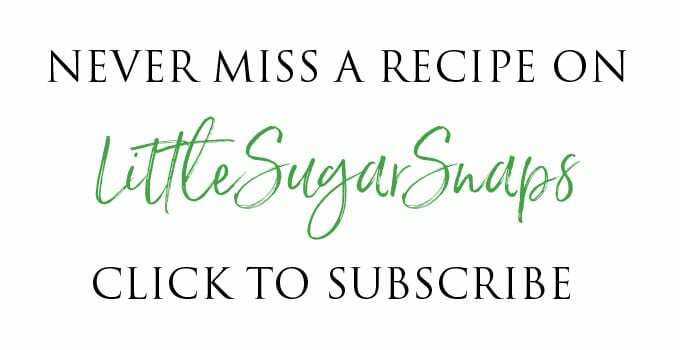 These are particularly welcome to serve with coffee on those occasions when the main meal has knocked the full-blown dessert option clean off the plate. I used a fluted chocolate mold for these chocolates – the shape of the shell is ideal for a layered goodie such as this. 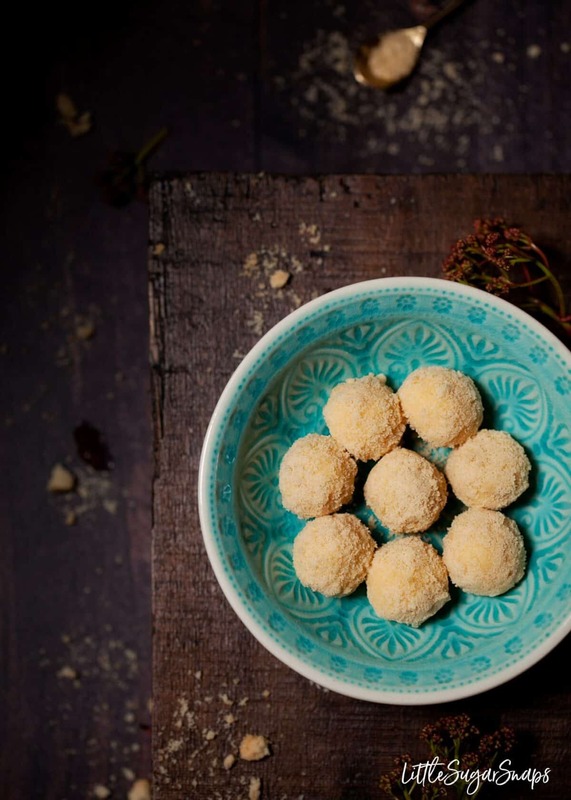 The rhubarb crumble chocolates do require a bit more skill and time than the straightforward Custard Cream Truffles. I would advise anybody not sure about tempering chocolate to read my guide. It’s not as tricky as it sounds, as long as you have all the information you need before you start. So what will you go for first? 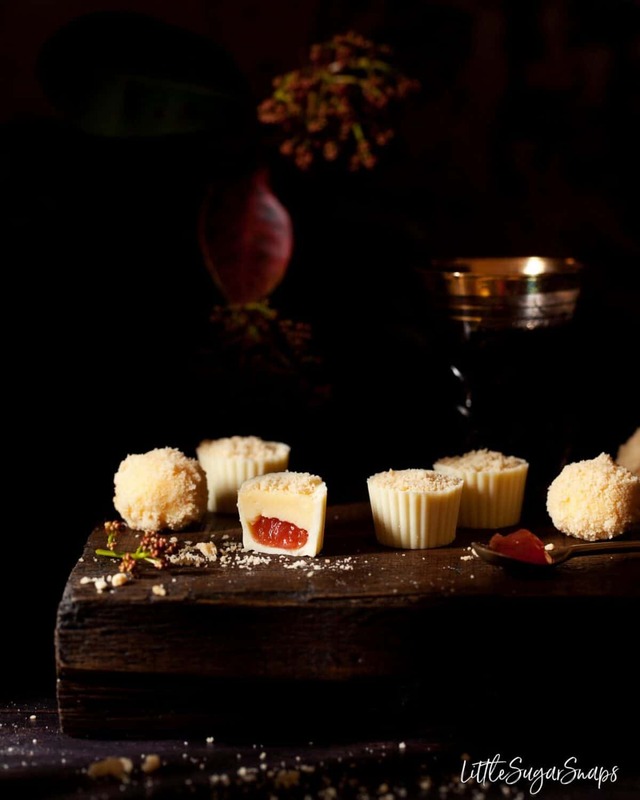 Straight up Custard Cream Truffles or the fancy pants Rhubarb Crumble & Custard Chocolates? 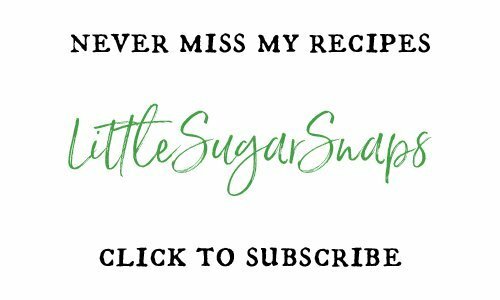 Whatever you go for, be sure to tag #littlesugarsnaps on Instagram so I can take a peek. Simple and delicious. 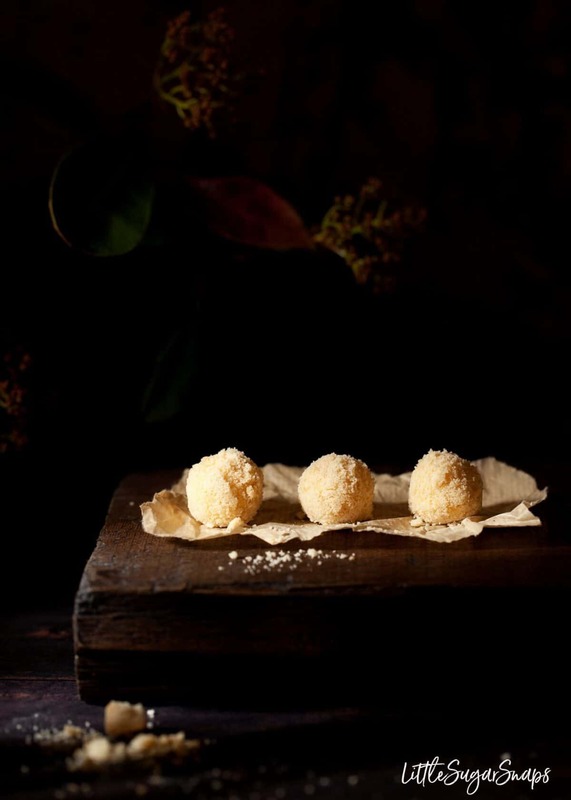 These white chocolate custard cream truffles are hard to resist. I used Birds custard powder - the type that comes in a drum and is blended with milk. I do not recommend using the Instant powder from sachets that is made with boiling water. Shake the mold tray a few times and tap it on a worktop to help remove air bubbles (as my mold was flexible, I put it onto a chopping board to do this).